One of the many trivia bits about Feroz Khan’s Qurbani (1980) is that there was definitely some pushback from the film’s official composers, Kalyanji-Anandji, when they came to know that another composer was being roped in on the side, to compose just one song. That other composer was Biddu, who produced ‘Aap Jaisa Koi Mere’ and led the soundtrack’s super-success right under Kalyanji-Anandji’s nose(s). A related trivia is that Biddu had originally planned to remake a Boney-M song for Nazia Hassan to sing. But Nazia Hassan and Zoheb Hassan, the Pakistani sister-brother duo, insisted that Nazia was keen on singing an original song. 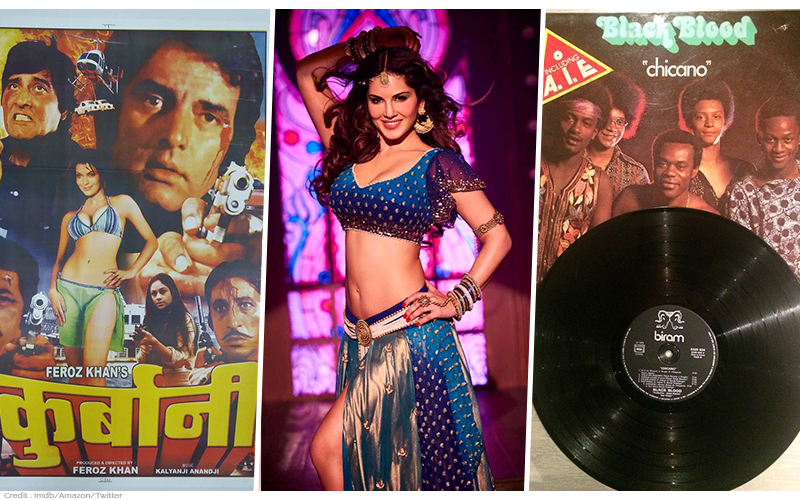 So Biddu composed ‘Aap Jaisa Koi Mere’… and the rest is history. But this week’s post is not about that song. It’s about another song from Qurbani that was almost as successful as ‘Aap Jaisa Koi Mere’. The song was composed by Kalyanji-Anandji, written by Indeevar, and sung by Kanchan, Amit Kumar and chorus. Kanchan’s full name is Kumari Kanchan Dinkerao Mail. She is the wife of Babla Shah (born Laxmichand Virji Shah), younger brother of Kalyanji Anandji! The wife and husband combo, Babla & Kanchan, were a duo that performed as a band, and were very popular in the 80s. Babla was also a drummer with his brothers, in their film songs, including Laila O Laila. Unlike Nazia Hassan who refused to sing a cover version, Kanchan’s song, ‘Laila O Laila’, was an instance of plagiarism. 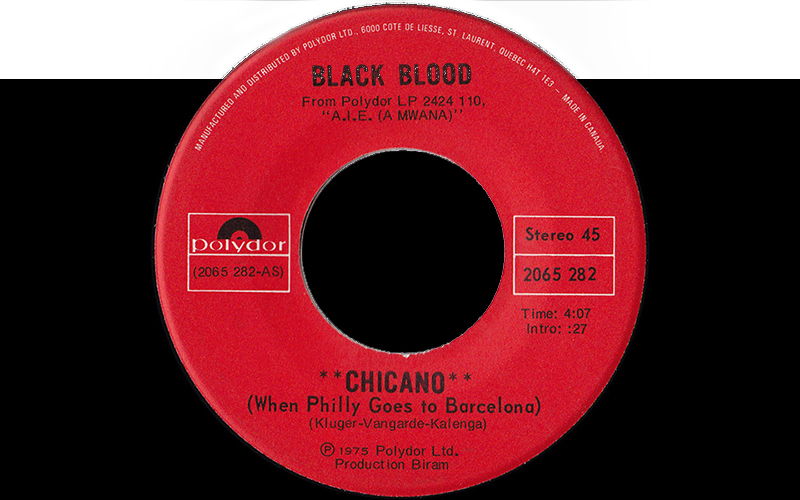 The original of Qurbani‘s ‘Laila O Laila’ is a song called ‘Chicano’ (When Philly Goes To Barcelona) by the band Black Blood. Black Blood was a 70s musical group created by Belgian music producer Michel Jaspar, featuring Zairean singer Steve Banda Kalenga and his friends from Angola. Jaspar renamed the band ‘Black Blood’ and produced a series of records, featuring music by the French writing and production team of Daniel Vangarde and Jean Kluger. ‘Chicano’ (When Philly Goes To Barcelona) was first released in 1975 by Polydor. …are undeniably from Black Blood’s original. This comes out despite the amount of extra creativity put in by the Hindi composing duo, as also in the highly infectious rhythm that completely owes its existence to the African original. Incidentally, a Greek pop music artist, Lakis Tzordanelli (or Lakis Jordanelli) released his Greek cover version of Chicano in 1976, with complete credit to Daniel Vangarde and Jean Kluger. This was an official cover. The Hindi song, notwithstanding its immense popularity, was simply uncredited, blatant plagiarism. 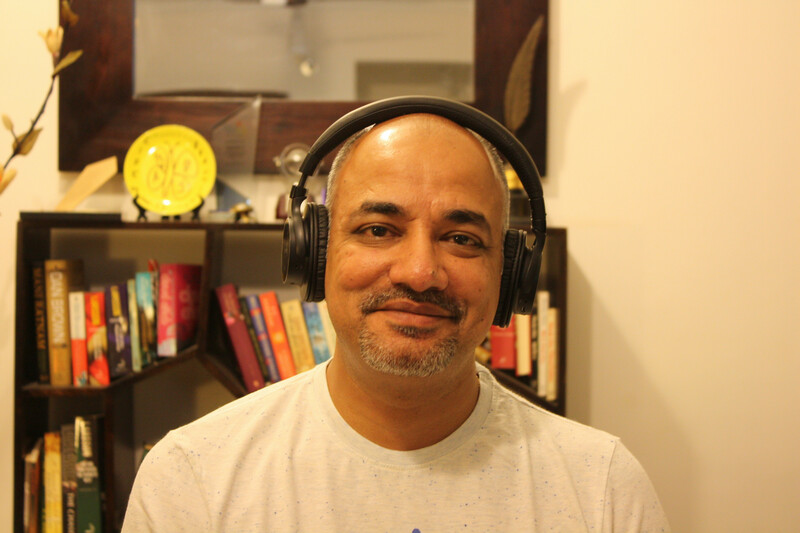 The Hindi song was, of course, so popular that it was re-created in 2016 for the Shah Rukh Khan starrer Raees, by composer Ram Sampath. It’s a travesty that this re-creation was credited to the ‘original’ from Qurbani, and not to the actual original by Black Blood.